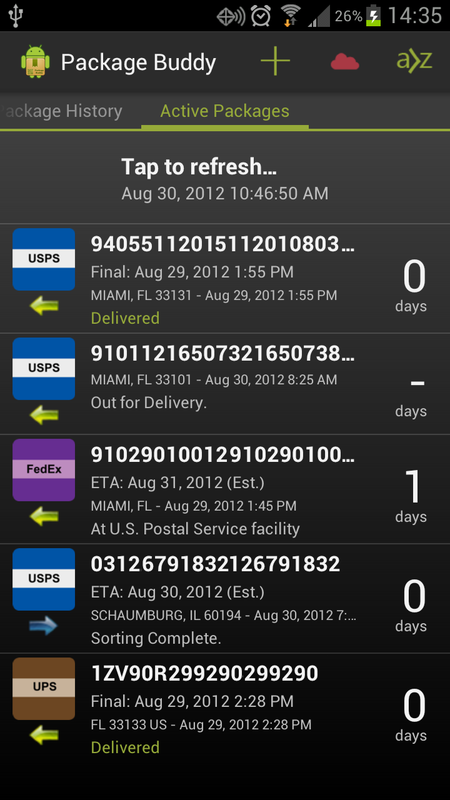 A full-featured package tracking app to help you know where your packages are where ever you are. 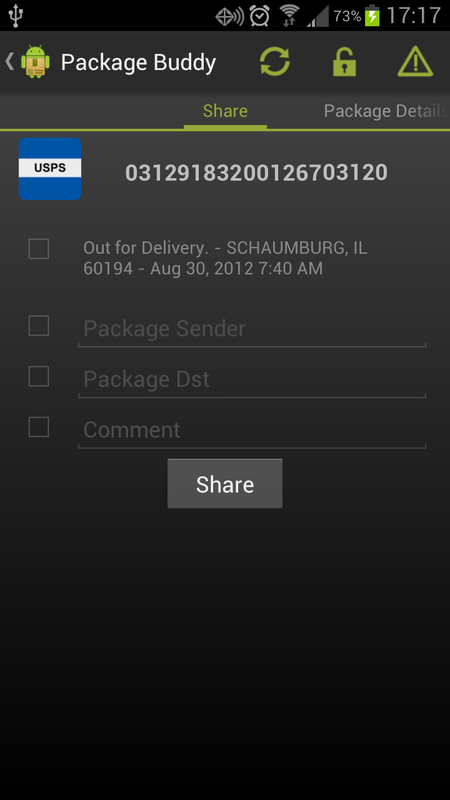 Package Buddy is an app to satisfy your package tracking needs. 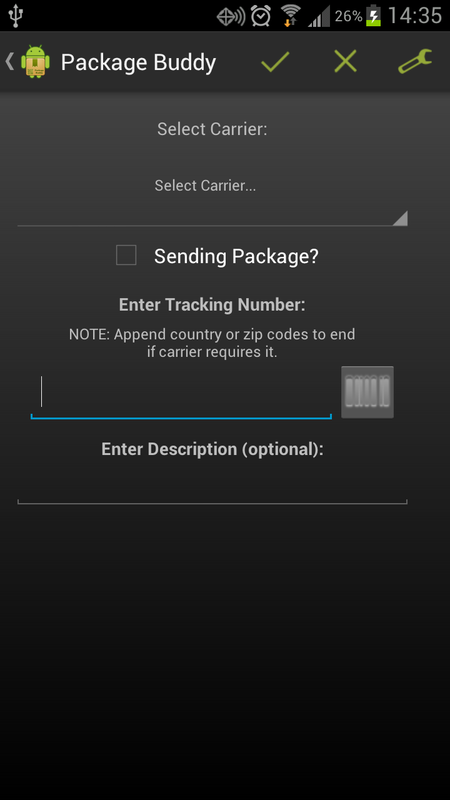 Package Buddy has native support for tracking packages through many carriers (please see FAQ for complete list). 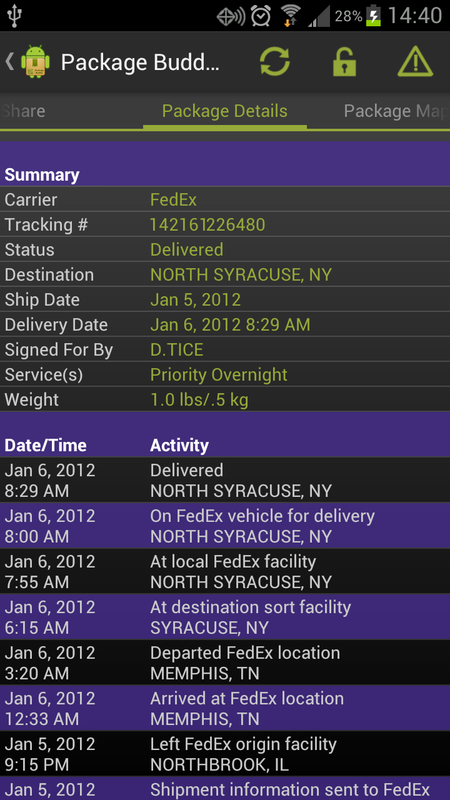 What this means is Package Buddy is able to get detailed information on your package's rough journey. 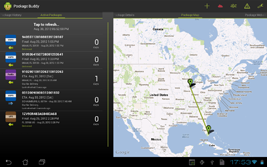 With Package Buddy have the ability to visualize the tracking route. 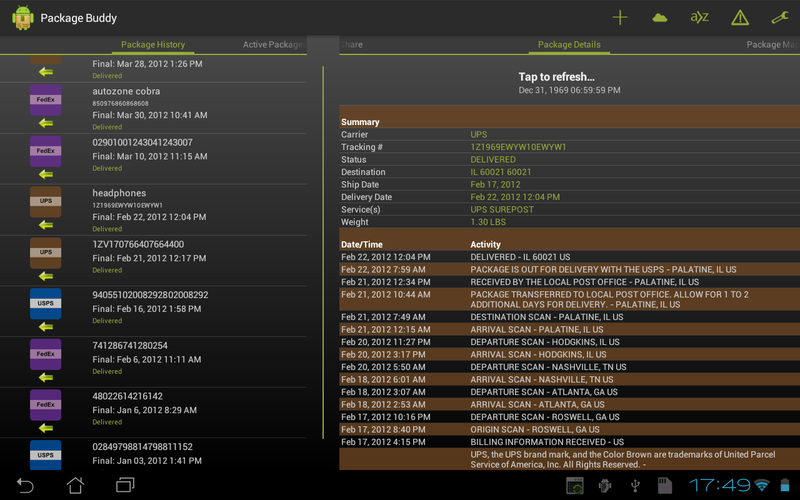 Package Buddy includes many settings ranging from auto-updating your tracking information to having the ability to customize your list of packages. We also offer the ability to upgrade through in-app purchases to pro and pro tablet versions. 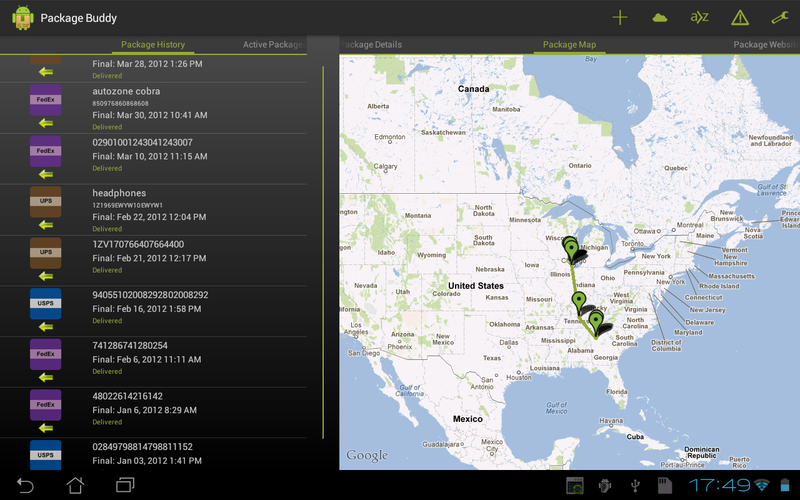 These versions both off the ability to sync your packages and the pro tablet version offers an enhanced UI for tablets. 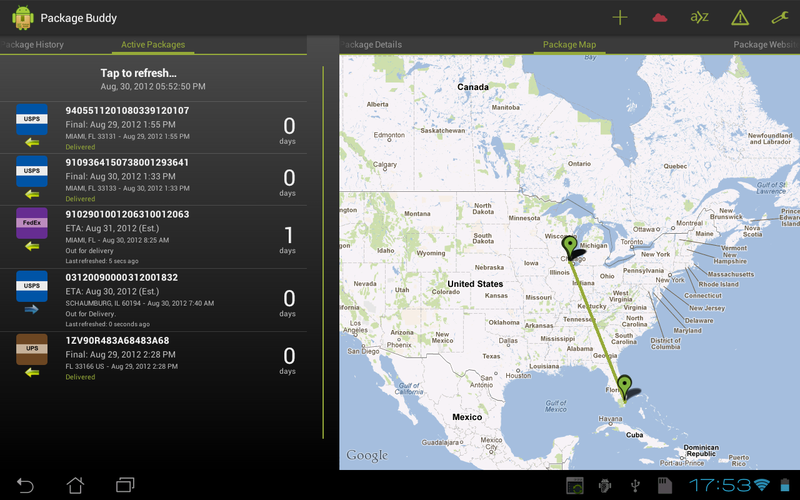 "Package Buddy brings the world of package tracking into the modern era..."
"It’s by far one of the best looking package tracking apps available, utilizing the Holo UI aesthetic, and comes with a ton of features." 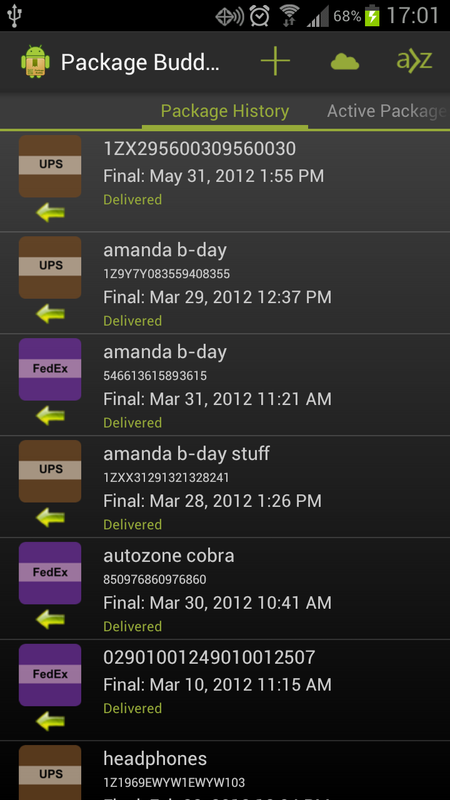 "The most efficient way to track packages on Android"
What's the difference between Package Buddy and Package Buddy Pro? 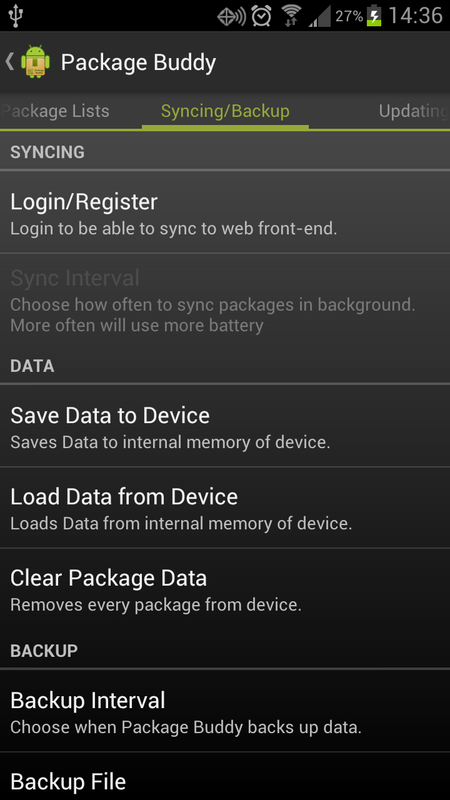 Package Buddy Pro has no ads, has a widget displaying active packages, and allows you to sync back and forth between a web front end and other devices. Do you have a barcode scanner? Yes, we do. We are support using ZXing's Barcode Scanner app; however, it is possible to use other scanners (see settings). When you are at the 'Add Package' screen, you can hit the button that has a barcode on it to scan. If you don't have a scanner installed, it will bring you to the Play store to download one. Does it support app to sd? Yes it does. Please see Google Android for more information on this feature. We are sorry about this. We know this is a touchy subject with some people. We enjoy making apps, but we have lives too, and while it's fun to make apps and update them with user requests, it is also time consuming. Ads help make this endevor feasible. We hope everyone understands. 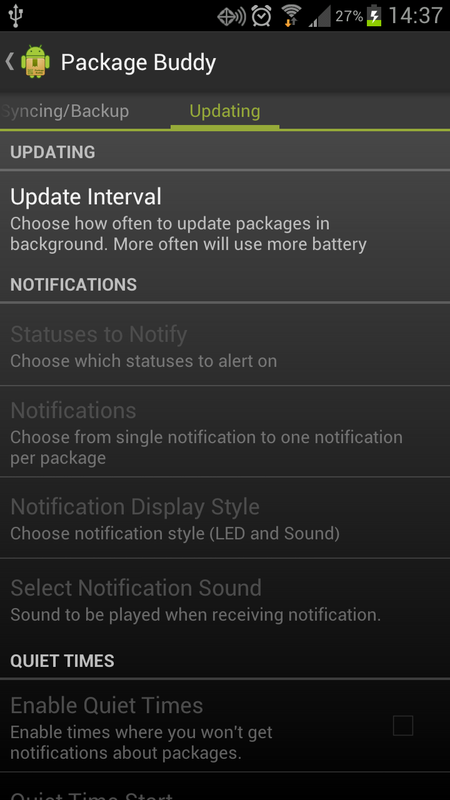 If you would like no ads, there is an upgrade or paid version in the Android Play store as well. I purcahsed Pro, and it isn't recognizing it, or I had reinstall and it says I don't have Pro anymore. What do I do? If you bought the Pro version through In-App Purchase, download the version you did the upgrade through. Load up the app. If it doesn't recognize you have the upgrade, force-stop the app (either by a task killer or through the Android settings), then reload the app. This should fix the issue. If it doesn't, please contact us. I purchased the Pro version, but it isn't showing up in my purchased apps list in the Play store. Why not? If you did an In-App Purchase, it will not show up in this list. This is because this list is reserved for apps you had to pay for to download. I found a problem with Package Buddy, what should I do? What version of Android, and what version of Package Buddy you are using. I have a suggestion/request. What can I do? Go ahead and send us those too. Also try to be specific so we can get it right. We'll try our best to implement it, but we are probably working on other things as well, so it might not happen instantly. But we do enjoy your feedback. Package Buddy didn't work the first time I used it, so I'm going to rate it a 1 star. If that is the case, then you probably aren't reading this in the first place. If you are though, we do hope you email us your problem first and let us try to figure out a solution. 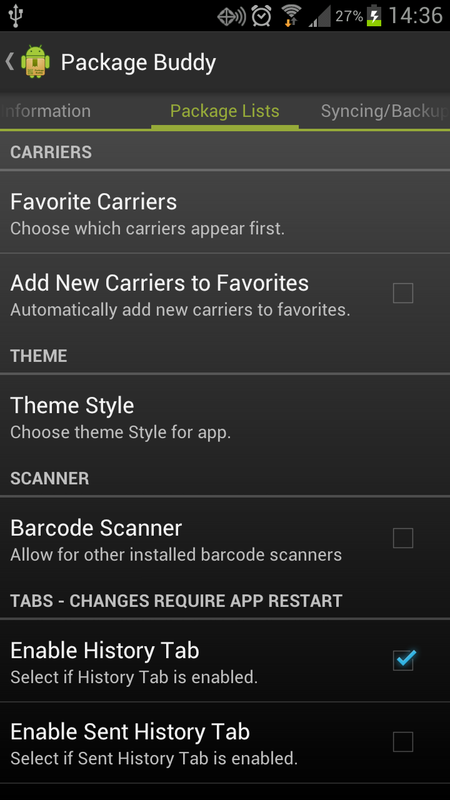 Why hasn't the carrier I'm using been added? We're sorry, but we there are a lot of carriers in the world. We're certainly learning this. 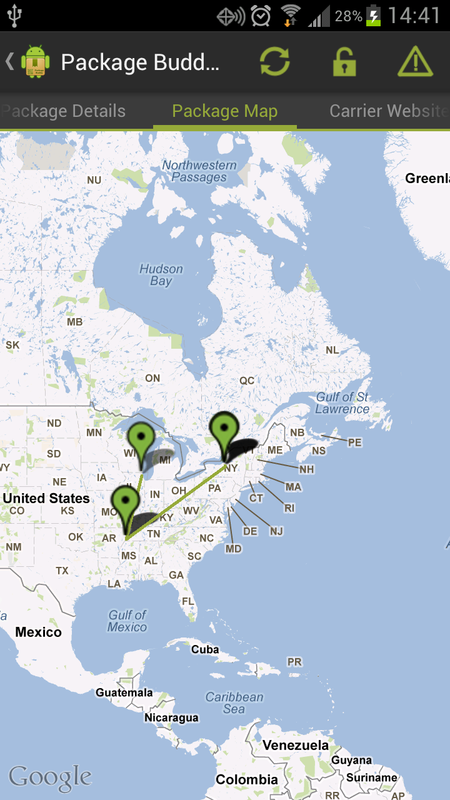 If you have a carrier that you want added, just email us and we'll try to get it included. It is important that you email us, not just leave a comment.